Husky Energy says it is changing its policy and will add "more formality around the process of restarting production," following an oil spill last month off Newfoundland. Husky says 250,000 litres of a mixture of oil, gas and water spilled from a flowline to the FPSO SeaRose. Husky Energy says it is "deeply sorry" for back-to-back spills that sent a total of 250,000 litres of oil, water and gas into the ocean last month, and says it is making changes to prevent anything similar from happening again. The two spills occurred within an hour of each other on Nov. 16, the oil giant revealed in a statement Monday. 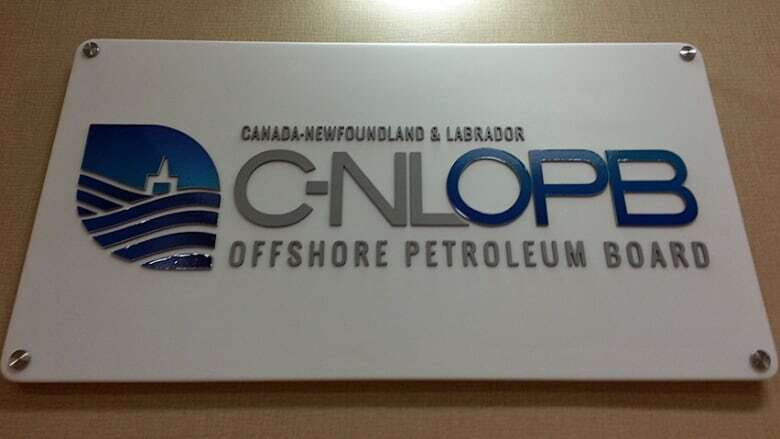 Husky's preliminary investigation is now in the hands of the Canada-Newfoundland and Labrador Offshore Petroleum Board (C-NLOPB), after the company submitted its preliminary report on Friday. 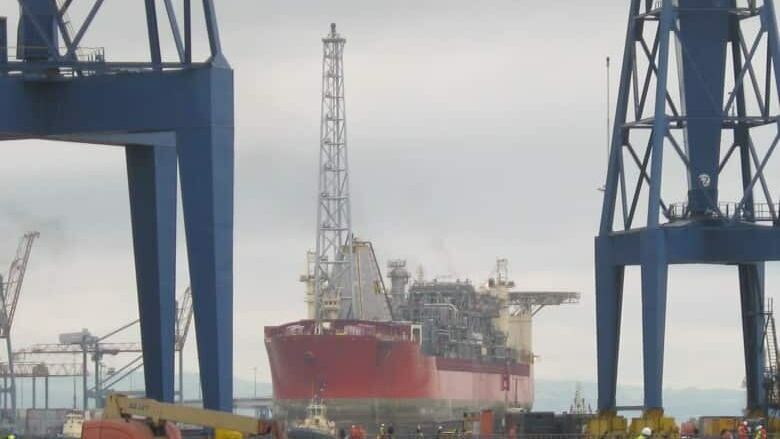 The spill happened when a flowline connector failed near the South White Rose Extension drill centre, about 350 kilometres east of St. John's, according to a media release. 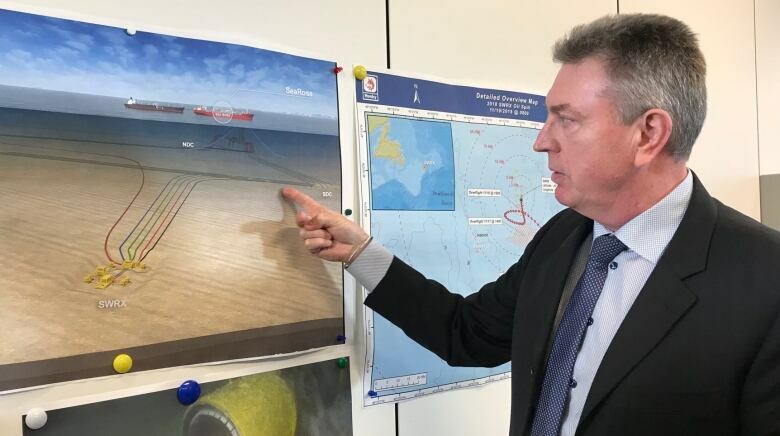 The SeaRose floating production storage and offloading vessel (FPSO) tried to restart oil production — on a day when waves were recorded at 8.4 metres or about 28 feet — and that's when problems arose. 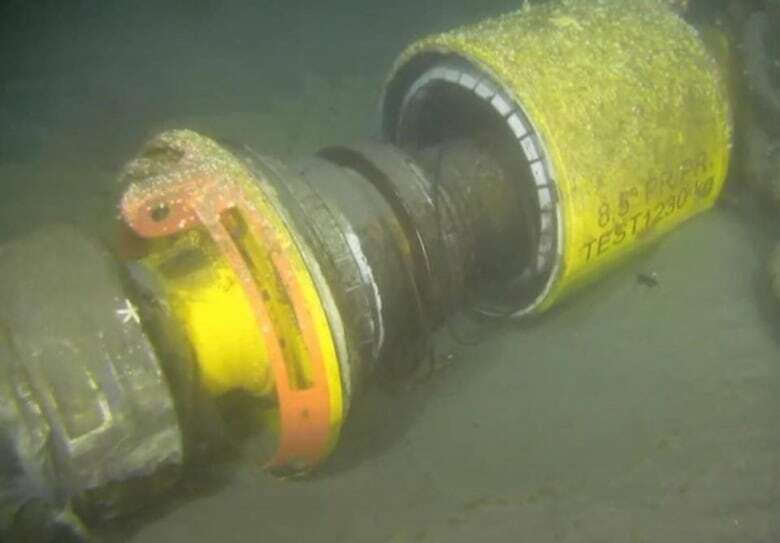 "The incident happened while warm crude from the SeaRose was being circulated through the subsea network to warm up the flowlines prior to restarting production," the media release said. "The investigation to date has confirmed there were two fluid releases containing a mix of oil, water and gas." The first spill happened during the 20 minutes when offshore teams were troubleshooting a drop in flowline pressure, and the second one happened during a 15-minute window. "We are deeply sorry for the incident and are committed to learning from it and putting measures in place to ensure it does not happen again," the company said in the statement. Husky said it is revising its adverse weather policy to include "more formality" around restarting production. The company said it is also working on improving how it handles or deals with non-standard or infrequent conditions. "We have implemented enhanced oversight on critical activities to raise the awareness of potential risks and providing team backup," the statement said. Husky drew criticism from politicians and the C-NLOPB for staying silent for several days after the spill. The incident also raised questions about why Husky would have tried to restart production in bad weather and why the C-NLOPB, as a regulator, wouldn't make that call. While Husky has submitted its preliminary report, the C-NLOPB will not be releasing its own early stages report at this time, because "this is an ongoing investigation which may, depending on the findings, result in enforcement action by the board," according to an update on the regulatory body's website posted Monday afternoon. "The ongoing C-NLOPB investigation includes gathering and assessing relevant information, along with interviews. This takes considerable time to do properly and thoroughly, as would be the case with any investigation of any incident with potential enforcement implications," the statement says. Husky is still working on a plan for what to do with the separated subsea flowline, according to the C-NLOPB, and people from both groups met on Dec. 7 to review an initial plan. "Once details are finalized, the plan must be approved by the C-NLOPB and partner agencies before being implemented," said the C-NLOPB. The work by the regulatory agency's chief safety officer continues, despite the spill happening almost a month ago. "[He] is following up with all operators regarding the importance of lessons-learned exercises and identifying opportunities for improvement in areas such as weather forecasting, post adverse weather integrity assessments, and lifeboat limitations and impairment," according to the C-NLOPB.